Baxter and Simon celebrate 50 episodes of 2 Up Front on today's show! Because of Copa America, there is not much MLS to talk, however, the guys seem to "Copa"...ha!....just fine. Joining Baxter and Simon this week is Minnesota United FC defender Justin Davis, Sky Blue FC's Kim DeCesare and Chicagoo NASL's Peter Wilt (with a special announcement). The guys get a little-heated talking USMNT after their first two games and who should and should not be on the field for the ... See More Red, White, and Blue. Want to have your voice heard? 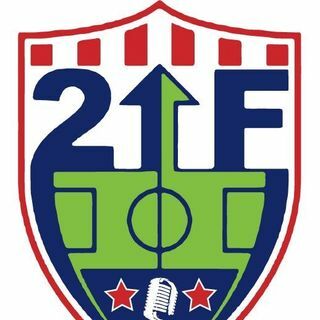 Email the show anytime at 2upfrontsoccer@gmail.com or visit our website, 2upfrontsoccer.com.